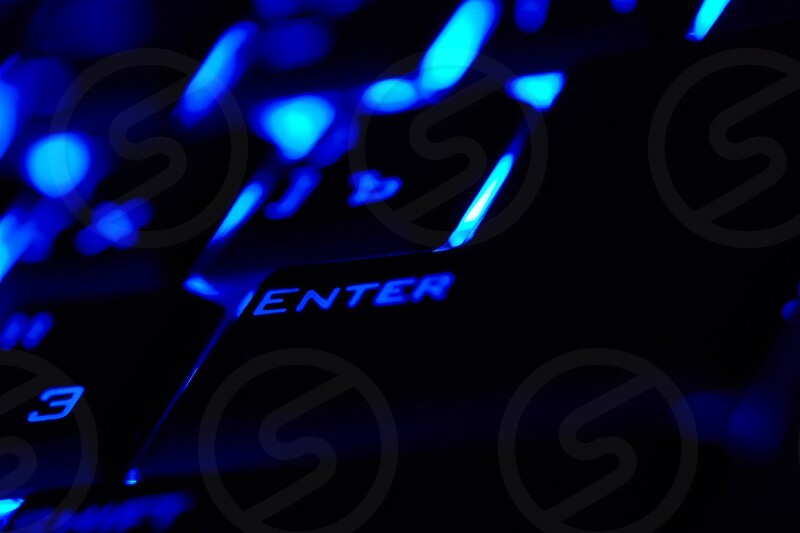 Enter key in a blue light. Macro shot. Shallow depth of field.